Prima Pediatrics follows the immunization guidelines of the American Academy of Pediatrics (AAP) and the Centers for Disease Control (CDC). We believe our children have the best opportunity to thrive when given the correct vaccines at the appropriate age. 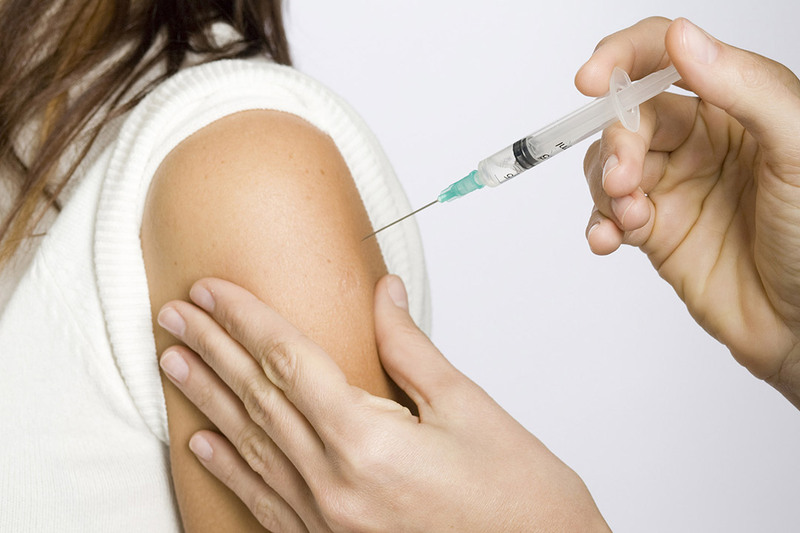 You can read about our immunization policy here. The AAP provides information about each vaccine and the diseases they prevent. You can read more here. The CDC also publishes information sheets for each approved vaccine that can be found here. 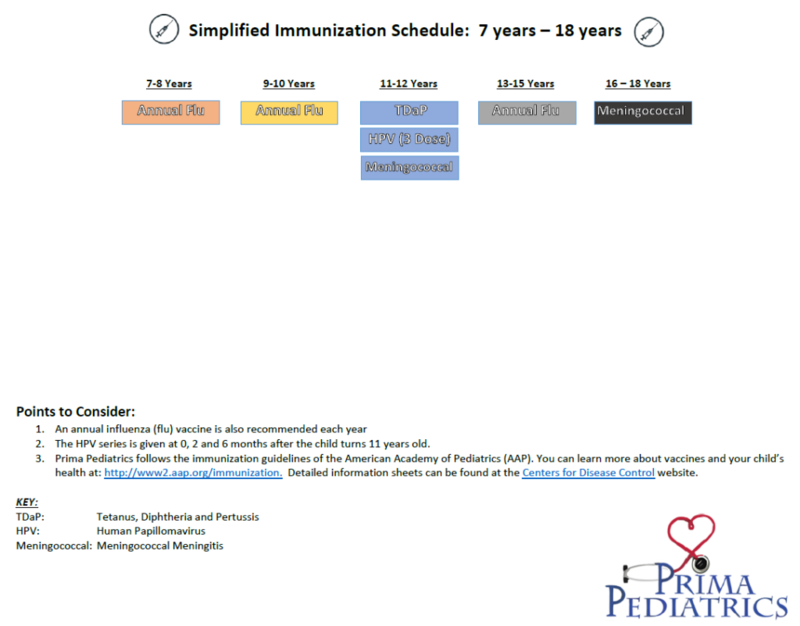 Below you can view simplified immunization schedules for each age group. 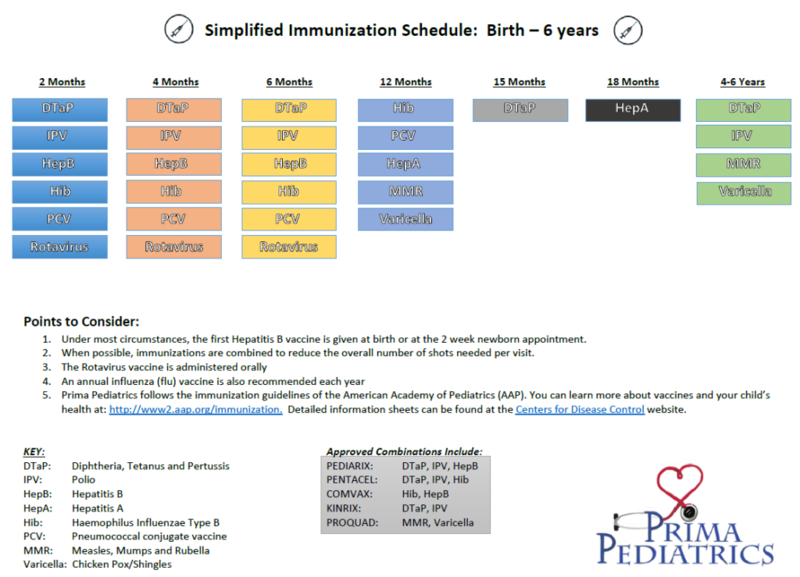 If your child is behind on immunizations, we would be happy to work with you to create a “catch up” schedule that will suit both you and your child. As always, we are happy to address any of your questions or concerns at the time of your visit.